The personal data controller is MIFUR S.r.l., with registered office and operational headquarters at 3 Via A. Riva Villasanta, 20154 Milan, Italy, VAT no. 12143280159; PEC mifur@pec.it registered with the Milan Chamber of Commerce, REA no. : MI – 1660482 Tax Code 97179610155, share capital 16,500 euro, (hereinafter “Data Controller”). 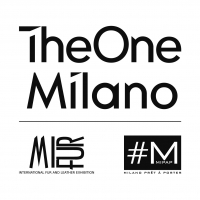 B.1 User data are collected and used exclusively for responding to user contact requests or for purposes directly connected and instrumental to the activities of THEONEMILANO show, of which Mifur is organiser, to fulfil obligations established by law, regulations or European legislation or to exercise legal rights. B.2. Furthermore, the email address provided by the user when submitting the contact form may be used by the Data Controller to promote its own services, to send advertising material exclusively relating to the abovementioned products or services, to perform market research or for marketing purposes. The user can prevent the aforementioned processing either at the outset – by ticking the appropriate box during registration – or afterwards, by sending an email to privacy@mifur.com. Opting out will not affect the way services are provided. B.3 By sending the contact form, the user agrees to receive notifications, newsletters and offers from AlwaysOnShow, relating and/or linked to the services of Mifur and AlwaysOnShow, at the email address provided when registering. The user can prevent the aforementioned processing either at the outset – by ticking the appropriate box when submitting the contact form – or afterwards, by sending an email to privacy@mifur.com. B.4 By sending the contact form, the user agrees to receive notifications, newsletters and offers from Mifur and AlwaysOnShow, relating and/or linked to the services of AlwaysOnShow, at the email address provided when registering. The user can prevent the aforementioned processing either at the outset – by ticking the appropriate box when submitting the contact form – or afterwards, by sending an email to privacy@mifur.com. B.5 by registering on the website and using its functionalities to view the products and develop contacts between the user and exhibitor, the user authorises the Data Controller and the managers of the website to use their personal contact details in communications with exhibitors to develop business contacts during or after THEONEMILANO show, of which Mifur is organiser. The abovementioned purposes are pursued as a legitimate interest of the Data Controller and their legal basis is the consent of the interested party. The data will be stored in compliance with legal requirements or until the interested party requests that they be cancelled. The data requested when sending the contact form, for the purposes outlined in section B.1, must be supplied as it is necessary for a reply to be provided. If the user refuses to provide this data Mifur and AlwaysOnShow will not be able to respond to requests for contacts or services. AlwaysOnShow communicates personal data for the purposes and according to the procedures described in this Notice, in accordance with the user’s consent to the processing of their personal data. Personal data may be disclosed and transferred to third parties, also outside Italy, such as companies linked or connected with MIFUR S.r.l. or its trading partners, for the purposes outlined in Articles B.1 and B.2. In this case, third-party subjects able to carry out these operations will be appropriately selected according to their experience, abilities and reliability and will have to fully respect the current laws concerning data processing, including data protection. The data provided may also be processed by those responsible for individual services. The categories of workers who carry out these activities may include communication/copywriting/photographic companies or agencies, couriers and any other person who works with MIFUR S.r.l. 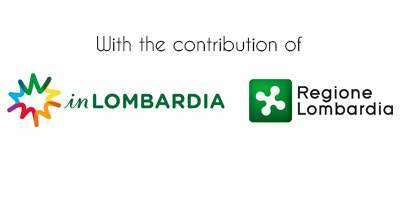 (in or outside of Italy) who provides services to meet the User’s requests. User data is not subject to any other form of disclosure. Data is collected by electronic means and processed via registration, consultation, communication, storage and deletion activities, predominantly carried out using electronic devices, guaranteeing the use of appropriate measures for the security of the processed data and guaranteeing its confidentiality. User data, stored in electronic format, is saved and stored on a server managed by the Data Supervisor. MIFUR S.r.l. undertakes to adopt appropriate security measures to minimise the risk of data loss or cancellation (also accidental), unauthorised access or processing which is unauthorised or non-compliant with the purposes of the collection indicated in this Notice, as per article 32 of the aforementioned regulation. However, MIFUR S.r.l. cannot guarantee its Users that the security measures adopted for the Website and the transmission of data and information on the Website limit or exclude any risk of unauthorised access or data dispersal by the User’s own devices. We therefore recommend that computers connected to the Internet have appropriate software installed to protect online data transmission, whether incoming or outgoing (by installing updated anti-virus software for example). We also recommend that the Internet service provider has adopted appropriate measures for the security of online data transmission (by activating firewalls and anti-spam filters, for example). Pursuant to Articles 15 to 22 of the aforementioned Regulation, users are entitled to receive confirmation of the existence of their data and the purposes for which it is being used at any time. They also have the right to ask to update or rectify, erase or block data or prevent its processing, either in whole or in part. In order to exercise these rights, as well as to receive information about the parties who have received or stored their data, i.e. parties which, as managers or people responsible for data, may become aware of their data, the user can contact the Data Controller. Mifur S.r.l. has also appointed a Data Protection Officer who can be contacted whenever necessary by writing to dpo@ecoconsult.it. Finally, all interested parties can contact the national authority (www.graranteprivacy.it– contacts section). The Website uses a technology called “cookies”. Cookies are small data files that are stored on a user’s computer when they access a website or its sections. If the user does not wish to accept cookies, they can be disabled by following the browser provider's instructions. For example, in Internet Explorer it is possible to change the settings for cookies by going to the section Tools/Internet Options/Privacy. Data will be processed and stored for no longer than necessary for the purposes for which it was collected, in accordance with applicable civil law, fiscal and tax requirements or until the data is requested to be cancelled.